Jungle Tours in India are always an adventure. As we all know Taj Mahal is a landmark monument of India and Tiger is India’s national animal. We have combined Taj Mahal and Tiger in Tours to Indian Jungle to offer an unforgettable wildlife tiger Safari India. In Indian Jungle Tours apart from Taj Mahal, you will see the highlights of Delhi and two famed national parks of Central India as Bandhavgarh National Park and Kanha National Park. 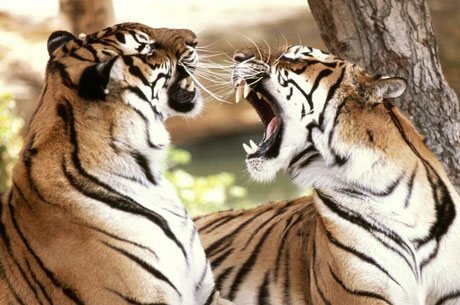 Both of these tiger reserves of India are paradise for wildlife lover and are perfect place for tiger sighting in India. A wildlife enthusiast can experience a tiger safari in India as well as the cultural and historical sites in Taj Mahal and tale of tiger tour. Arrive at Delhi international airport, you will be assisted by our representative and transferred to the hotel. The representative of Hidden Treasures of India would hand you over the travel documents of this tiger safari in India. After breakfast, start a daylong tour of Old & New Delhi. Today visit historical Qutab Minar, which was the tallest tower in India once upon a time, Humanyun’s Tomb – this was constructed by Begum Hamida for his Emperor husband from Mughal dynasty Humanyun. It is considered as a forerunners of world famous Taj Mahal. Also take a tour of India Gate, the house of President and Parliament House. If time permits visit Red Fort – listed as UNESCO world heritage site and is an example of great Mughal architecture, Jama Masjid – one of the biggest mosques in Asia, historical Chandni Chowk market and Raj Ghat – the memorial of Mahatma Gandhi – the Father of Nation. 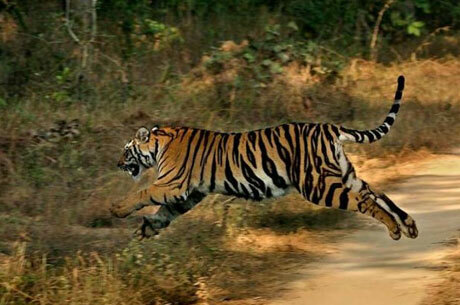 This day will be an added experience to your one of the famous tiger tours in India. In the morning, transfer to Agra through express highway. Arrive at Agra and check in to the hotel. In Agra, meet our guide and visit the monument of love Taj Mahal – one of the most photogenic and beautiful buildings in the entire world. Taj Mahal was built by Shah Jahan – a mighty Mughal Emperor in the memory of his beautiful wife and beloved Mumtaz Mahal. Later, take a tour of historical Agra Fort (An UNESCO World Heritage Site). Agra Fort was the place from where four Mughal Emperors ruled an enormous empire spread in entire Indian Sub-Continental. Later, in the evening, transfer to the station to embark the overnight train to Katni (nearest station to Bandhavgarh National Park) and get ready for one of the famous jungles tours in India. On arrival at Katni station, transfer to the land of White Tiger – Bandhavgarh National Park. Arrive at Bandhavgarh and check in to the jungle lodge. In the afternoon, do the jungle safari. It would be your first Tiger Safari in India. The whole day will be utilized in visiting the park through the jeep safaris to see Royal Bengal Tiger and other major wildlife of Indian Jungles. 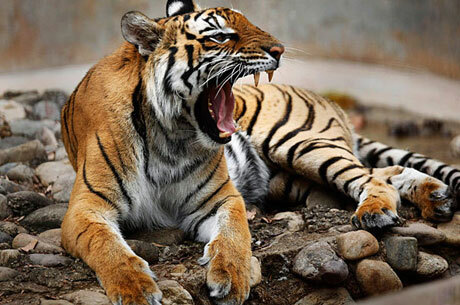 Bandhavgarh is one of the best national parks of India having the maximum chances to view the tiger, therefore is a major destination for tiger tours in India. After breakfast, we will transfer you to one of the excellent national parks of India Kanha National Park. Arrive in Kanha and check in to the wildlife resort. Later, visit the park through afternoon jeep safari to track many wild animals in this dense jungle of India. 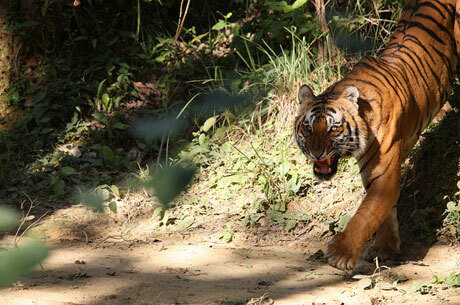 For the best jungles tours in India, Kanha Tiger Reserve is one of the best Indian national Parks. Today visit Kanha National Park through the jeeps once during the morning wildlife safari and again in the afternoon along with our expert naturalist. Kanha is known as India’s most beautiful national park to experience the forest and wildlife. These jungle activities are the best wildlife safaris in India. 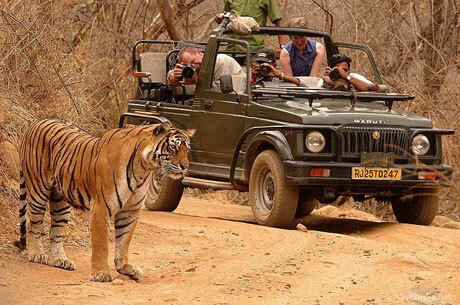 Take morning jeep safari again in Kanha Tiger Reserve, which would be your last tiger safari in India. At appropriate time, transfer towards Nagpur airport to embark the flight back to Delhi. Arrive in Delhi and we will transfer you to the pre booked hotel. Today, transfer to Delhi international airport to embark the flight back to the home country. The tour ends.